Nike has released the world’s first self-lacing basketball shoes, called the Adapt BB. According to Nike, the shoes provide a “truly customized fit for every basketball player.” This customized experience is provided by a power-lacing system called FitAdapt. The power-lacing system can be manually adjusted or controlled via a companion smartphone app. Nike said that the size of a person’s foot can expand by half a size during a game of basketball. This can have a big impact on a player’s movement, coordination, and mobility, ultimately affecting the player’s performance in the match. It is is an advancement of Nike’s earlier technologies Flyknit and Flywire, which gave the feeling of owning custom fitted sneakers and apparel. Adapt BB’s key feature is the ability to adjust the laces via the buttons on the shoes or through a smartphone app. Adapt BB’s built-in motor automatically adjusts the laces when a person puts on the shoes. Nike says the shoes have enough force to pull down a parachute cord. This will help keep the shoes “glued” to players’ feet no matter how intense a match is. Of course, the shoe’s motor has to run somehow. Sadly, it doesn’t have solar cells attached to it, so you will have to charge them the old fashioned way, but the shoes can last up to two weeks on a full charge. It takes about three hours for the shoes to fully charge after users place them on the Qi wireless charging mat that comes with every pair. 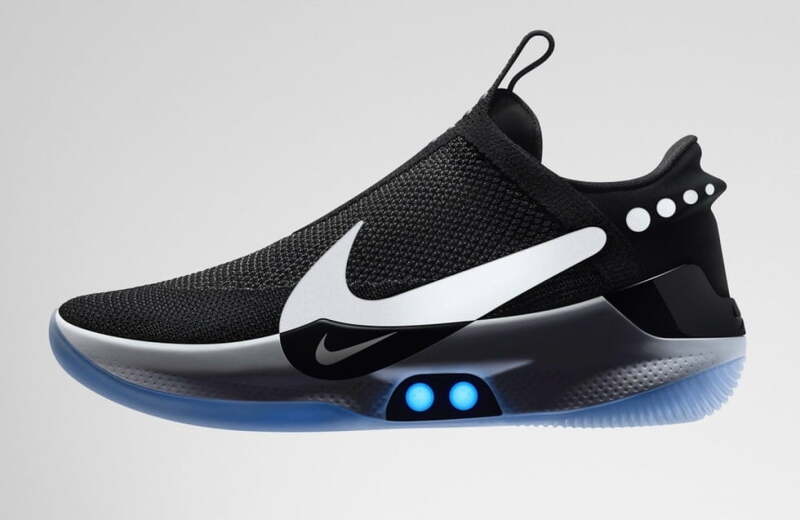 Nike’s self-lacing technology was first introduced in 2016 when the HyperAdapt 1.0 was released. HyperAdapt 1.0 was more of a prototype to show off the capabilities of self-lacing technology. Adapt BB is a much more refined product. It is also a much more affordable shoe compared to the HyperAdapt 1.0’s price tag of $720. The Adapt BB will cost $350. This is just the start for Nike. The sportswear brand has stated that it will be creating lace-up shoes for other sports as well. Adapt BB will go on sale in February.